Hardyston, N.J. – Crystal Springs Resort, the Northeast’s premier golf resort destination located in the mountains of northern New Jersey less than 50 miles from Manhattan, announced March 8 it will be the newest home of the world-renowned David Leadbetter Golf Academy. The Crystal Springs location will become Leadbetter’s primary base of operation in the northeastern United States. 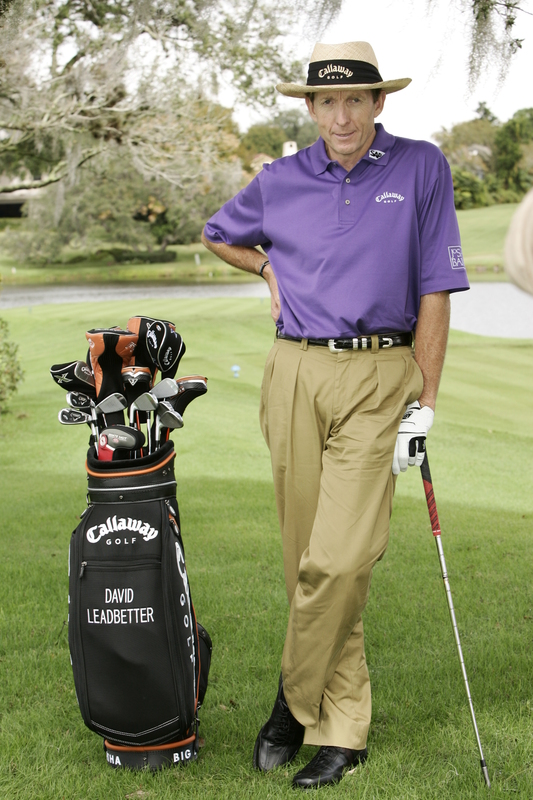 Delivering a philosophy that is flexible to golfers of all levels – from beginner to Tour professional – the Leadbetter Golf Academy has evolved into a global brand found in 28 full-time locations in 13 countries, including five states in the U.S. The world’s No. 1 golf instructor and coach to numerous players on the PGA, European PGA, LPGA and Champions tours, Leadbetter is known throughout the world for his innovative and creative teaching techniques. Over the past 30 years, his players have amassed more than a dozen major championship titles and more than 100 individual worldwide tournament victories. Notable students include Ian Poulter, Camilo Villegas and Michelle Wie. At Crystal Springs Resort, the Leadbetter Academy will offer a variety of mini schools, players’ schools, retreats, private sessions and improved performance programs. Crystal Springs Resort is conveniently located just one hour from New York City and Newark Liberty International Airport (EWR). It’s also easily accessible from LaGuardia and JFK, as well as by numerous private aviation facilities. Crystal Springs Resort brings the best public golf facilities in New Jersey together to form the northeast’s premier golf destination. Golfers can choose from seven award-winning layouts designed by some of the game’s best architects including Roger Rulewich, George Fazio, Robert von Hagge and Robert Trent Jones, Sr. The lineup includes: Ballyowen, recognized as the No. 1 course in the state of New Jersey, and named among the “Top 50 Resort Golf Courses in the U.S.” by Golfweek; Black Bear, Cascades, Crystal Springs, Great Gorge, Wild Turkey and Minerals. TOPICS: Courses and Travel, Destinations, Instruction, Luxury Living, Private Clubs, Public/Daily Fee, Real Estate, Resort Communities	Tags: Ballyowen, Camilo Villegas, Crystal Springs Resort, David Leadbetter Golf Academy, European PGA, George Fazio, Ian Poulter, LPGA, michelle wie, Robert Trent Jones, Robert Von Hagge, Roger Rulewich, Sr.